Not by a long shot is it over yet. The declarations of victory on the Brexit agreement reached with the British government don't just look premature now, they appear downright foolish. The unspoken truth at the time was that Theresa May was not so much heading up a government, but a temporary arrangement in power and devoid of any authority to agree terms which would be supported in parliament. The passage of debate through Westminster makes for great drama, but there is little to convince anyone in Dublin, or Brussels for that matter, that it will secure sufficient backing. The prospect of a no-deal Brexit most definitely looms, despite the foreseeing of economic calamity, most notably from the governor of the Bank of England Mark Carney. That Mr Carney's expertise is dismissed on the basis that he is Canadian says much about the mindset of leading figures in British politics, not to mention the standard of the debate. Moreover, delusional MPs seem to feel there is a better deal on offer. At the centre of their ire is the backstop, the guarantee of no hard Border arrangement coming into place on the island of Ireland. The legal advice on the Brexit deal, published reluctantly after MPs found the government in contempt of parliament, has compounded matters. 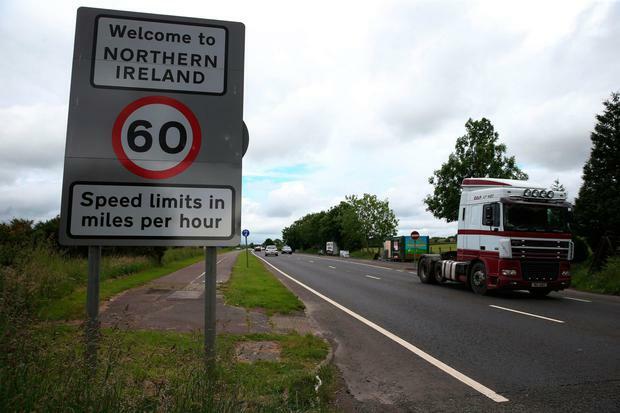 It warns the terms of the backstop could trap Britain in "protracted and repeated rounds of negotiations" in the years ahead. Britain's ability to extricate itself from the legal arrangement are at the heart of the political row about whether MPs should accept the prime minister's deal. Now the prime minister is eyeing up a concession that these MPs could be given the power to decide whether Britain goes into the backstop. She indicated the British Parliament would choose between triggering the backstop or extending a transition period after Britain formally quits the EU. The move is seen as a bid to bolster support ahead of the crunch Commons vote on her EU withdrawal deal next week. Defeat in that vote will clearly cast enormous uncertainty on the withdrawal agreement and the associated backstop. The backstop will remain the focal point as the blockage and our Government will need once again to get our EU counterparts to hold the line and not concede ground on the contentious measure. Reassuringly, EU chief negotiator Michel Barnier has reiterated the agreement with Mrs May is the only deal on offer.